Whenever I buy Methi I end up doing Methi Thepla or Methi Rice. This time I had asked my husband to buy a bunch when he went to Serangoon however he bought a couple of it. 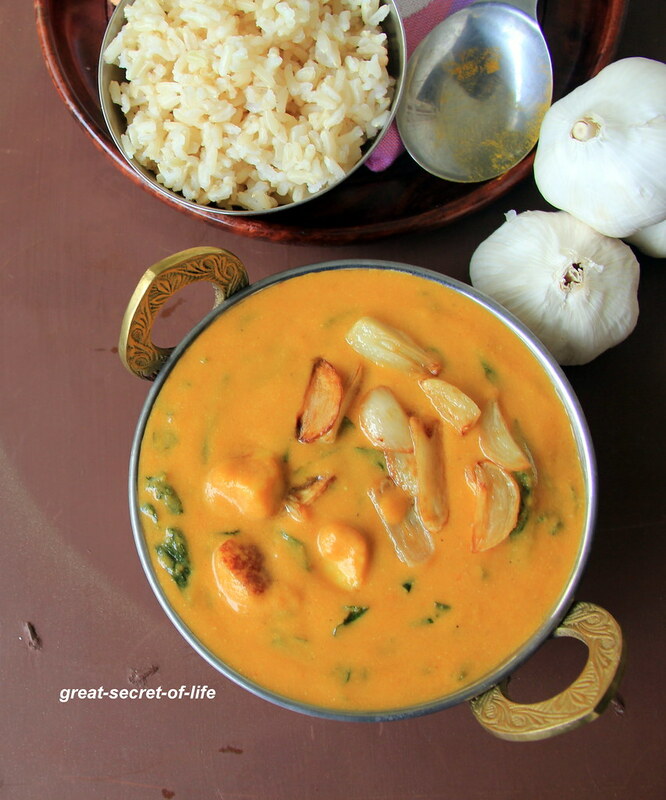 Initially I wanted to try Methi mutter Malai but I ran out of cream so I decided to try out this Garlic base gravy for chapathi. Love the flavour of Garlic in any dish and this is not a exception. I followed the recipe from Yummilyyours. 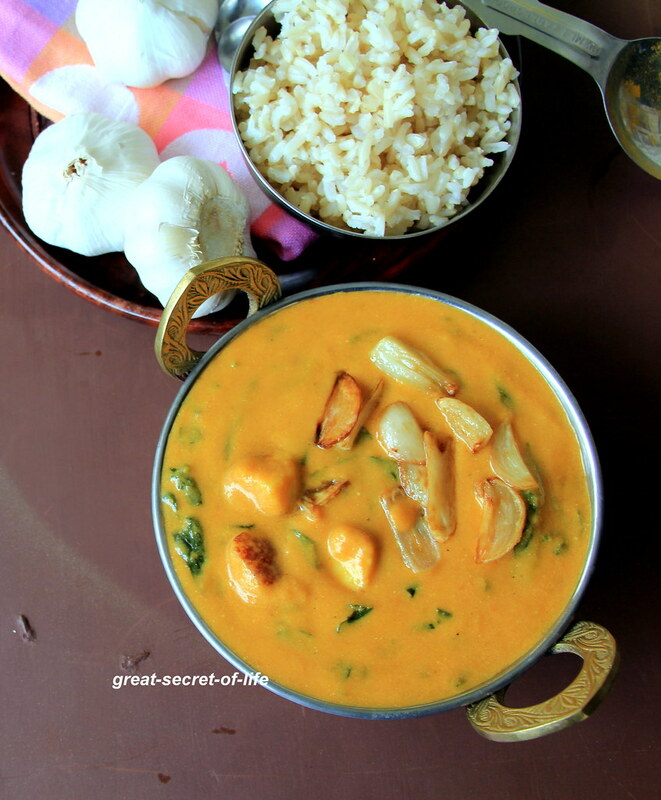 For Non garlic and richer version you can refer to Malai Methi Paneer recipe. It will go well with roti / naan or steamed rice too. Even kids who are not found of green leafy vegetable can be tempted with this gravy as this has Paneer (most of the kids love Paneer). Add Red chilli powder, turmeric and garam masala and fry till raw smell goes off. Switch it off and let it cook down. Love the color and the consistency. Looks super delicious! Anything with paneer am in!! This looks so creamy!! 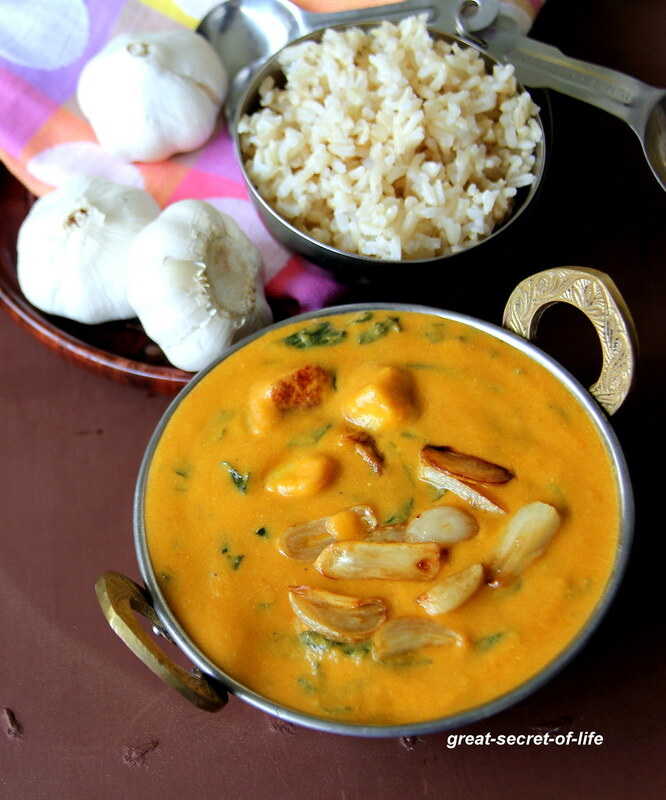 Curry looks delicious, methi, paneer and coconut milk, full of flavors.. When do we add coconut milk?